A huge inflatable obstacle course has been added to the line-up for Liverpool’s forthcoming Indoor Funfair. The 200ft-long ‘Energiser’ course will join other family attractions including fairground favourites when the fun-packed week-long event takes place in the city. Said to be a section of the “world’s longest, continuous, inflatable obstacle course,” the addition is expected to be a popular feature of the Indoor Funfair, which will open at Exhibition Centre Liverpool from 15-22 April. 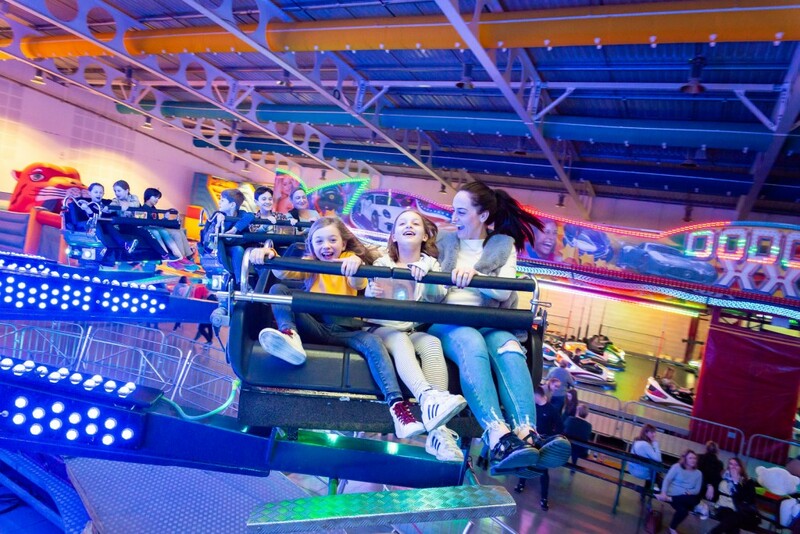 Visitors enjoying the event’s ticketed three-hour sessions will also have chance to enjoy popular fairground fixtures including the Waltzers, Fun House, Ghost Train and the Chair O-Planes swing ride. The obstacle course will join fairground rides at the event. Meanwhile two mini-coasters, a huge inflatable slide and a 3D Experience Zone, along with rides specifically for younger children, are among other recently added attractions. John Lowery from Indoor Funfair says: “We’re thrilled to be bringing a section of the world’s longest, continuous, inflatable obstacle course to our Liverpool event. “It’s suitable for anyone over five years old, so mums and dads can go on too and race their kids.